Instagram is a photo-sharing and social networking service that launched in October 2010. The platform took off intriguingly because of its design restrictions that permit only square-shaped images and 15-second videos, as well as filters that allow creators to step back in time with sepia-tinted memories that might have been captured only this morning. In the early days of Instagram, sceptics expected these limitations to have a negative influence on the platform’s success, but 300 million users currently upload 70 million images and videos a day with no sign of a slow-down. Instagram remains mainly a mobile application which limited the platform’s appeal to business in its early days. Times have changed though as businesses have migrated to mobile and are taking advantage of image-driven marketing strategies at the same time. How can non-Instagram Businesses use Instagram? A large number of businesses have an instant affinity with Instagram, especially those with an emphasis on visual appeal such as fashion, retail, restaurants and magazines. 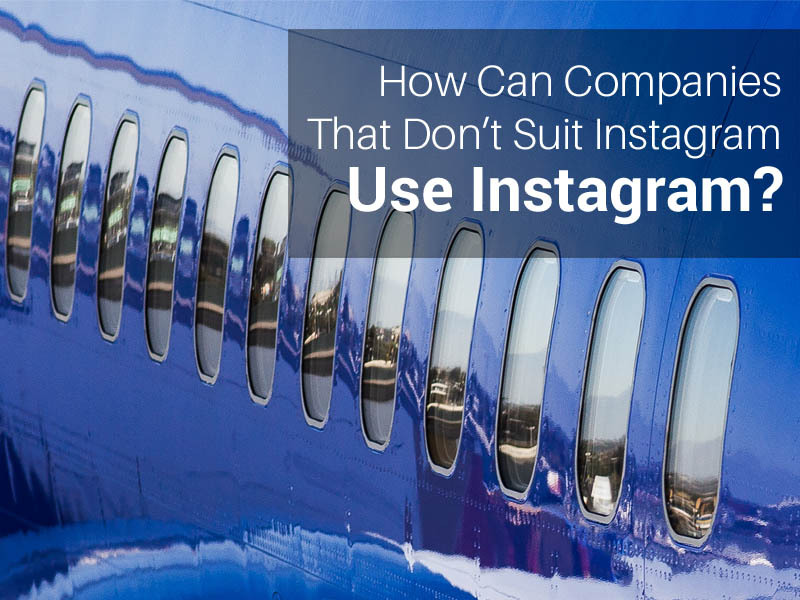 Why Include an Instagram Account in Your Communications Strategy? Just like many other social networks, Instagram focuses on engaging with communities and creating a brand personality rather than pushing products to customers. Using images is particularly effective to gain the attention of followers and using hashtags can help your business pick up on and lead trends rapidly. Instagram is also appreciated by users due to its minimalist, clean interface and its lack of ads (so far). The mobile interface also makes it easy for your staff to post on location or during a job to share an immediate experience. A posted image can also have a comment that links to your web site or a blog entry and contribute to an integrated marketing strategy without a large investment in money or time to maintain. Overall, most businesses should be able to find a reason to include this visual medium in their marketing mixes and take advantage of a free, easy-to-use tool with a growing uptake from global and small businesses alike. The following accounts comprise a mix of organisations using Instagram to spread the word visually with a mix of media and engaging user stories. Sharpie @sharpie who’d have thought marker pens were so much fun? Do you have a business that’s thriving on Instagram or are you still considering your marketing strategy? What are your favourite Instagram accounts?